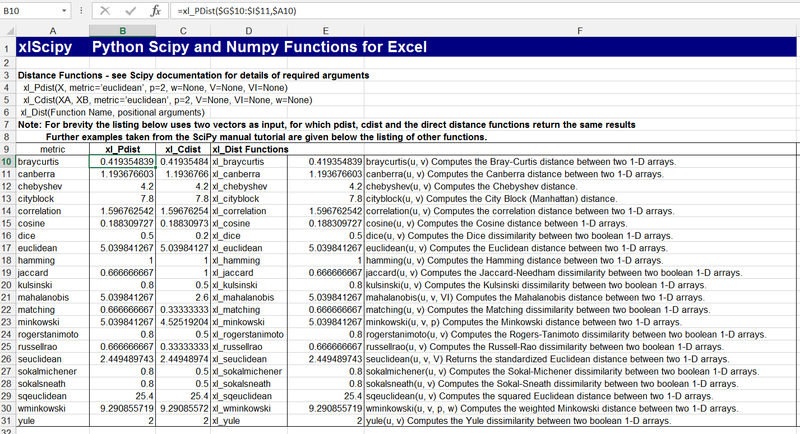 The spreadsheet requires Python to be installed, including NumPy and SciPy. It is written for Python 2.7 and has not been tested with Rel 3. 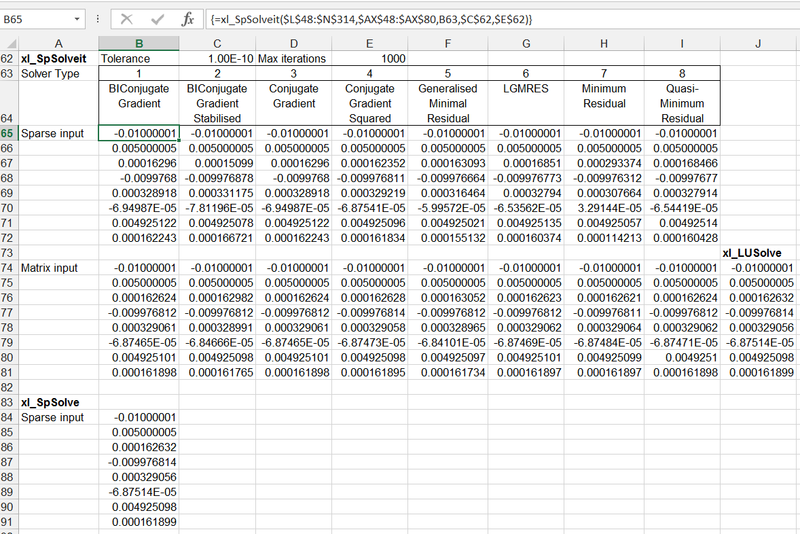 All other files, including the required ExcelPython package, are included in the download file. Just unzip everything to its own folder, and it should work. Note that the first time it is loaded compilation is quite slow, so be patient. 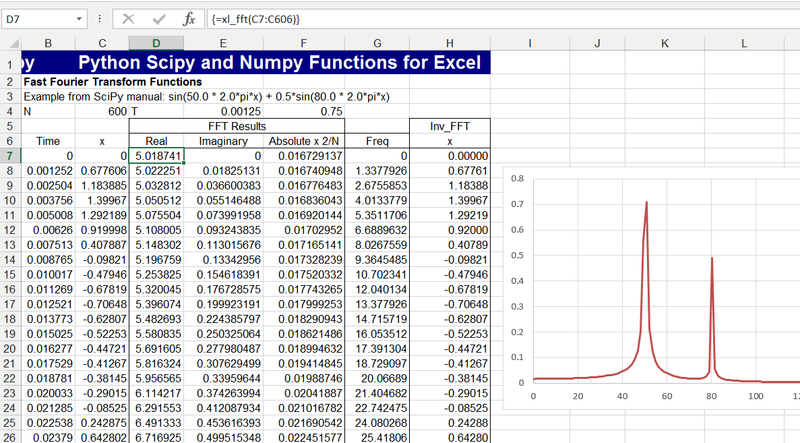 This entry was posted in Excel, Link to Python, Maths, Newton, NumPy and SciPy, UDFs, VBA and tagged Excel. 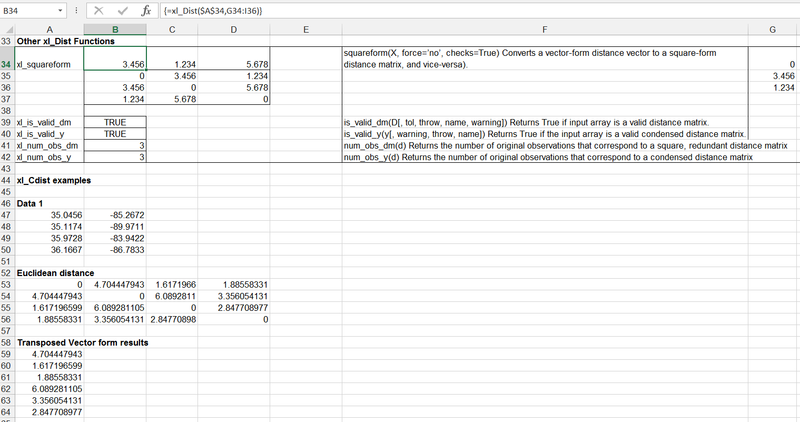 VBA, ExcelPython, Fast Fourier Transform, Python, SciPy distance functions, sparse solvers, UDF. Bookmark the permalink.